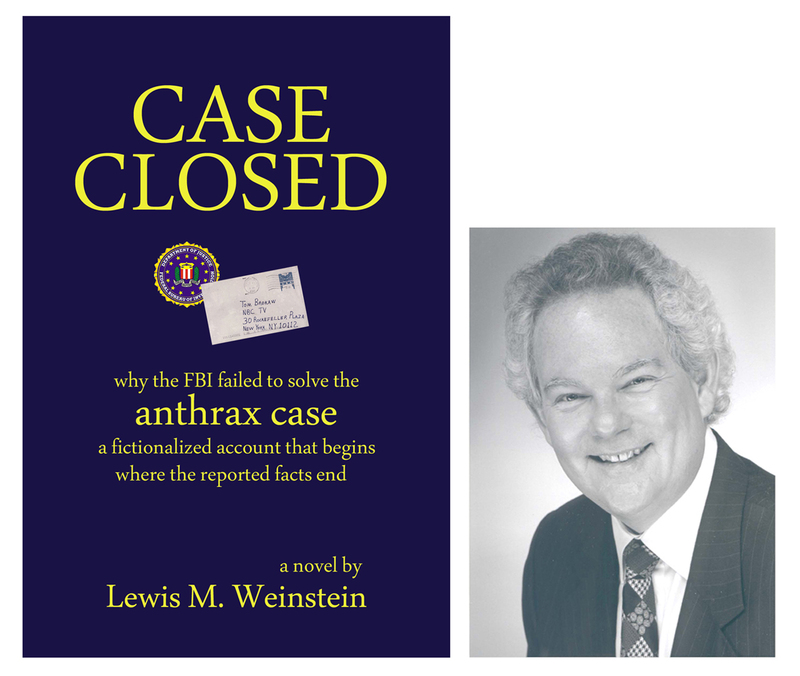 FBI refuses to answer anthrax questions « CASE CLOSED … what really happened in the 2001 anthrax attacks? I am an attorney representing Kenneth J. Dillon of Washington, D.C. in seeking your services in mediating with FBI and DOJ regarding his FOIA request for records on U.S. Army scientist Bruce Ivins in the anthrax mailings case. Dr. Dillon is a retired academic historian and retired foreign service officer. He requested records from September and October, 2001 regarding Ivins—specifically, unreleased emails, laboratory notebooks, paper and computer files, information about meetings, and telephone and credit card records, building entry and exit records, and records on Ivins’s animal experiments. The purpose was to show his activities and whereabouts, a crucial kind of alibi evidence. The anthrax mailings case was the largest criminal investigation in FBI’s history. After Ivins committed suicide in 2008, FBI claimed that he had mailed the anthrax letters. But it only selectively released documents, and there was no trial. According to former chief investigator Richard Lambert, FBI has not released a “staggering amount of exculpatory evidence” (New York Times, April 8, 2015). There are good reasons to believe that the mailings were in fact an al Qaeda attack. Attached are Dr. Dillon’s original request of April 18, 2015; his appeal to DOJ of June 19, 2016; DOJ’s November 24, 2015 remand of his request to FBI for a search for responsive records; his appeal to DOJ of June 6, 2016; and DOJ’s denial of August 23, 2016. Among the documents requested is Ivins’s laboratory notebook #4282, which includes the days September 14-18, 2001 when Ivins was purportedly preparing and mailing the first anthrax letters. In spite of my request and Dr. Dillon’s request, FBI has never released this notebook. * FBI cannot locate anthrax case lab notebook for the day first letters were mailed! The former lead investigator of Amerithrax, Richard L. Lambert, has brought a whistleblower suit in federal district court. He has alleged that the FBI is withholding a staggering amount of information that is exculpatory of the late scientist, Bruce Ivins. By letter dated August 23, 2016, Attorney Matthew Hurd denied Kenneth Dillon’s appeal of the FBI’s denial of his request. Dr. Dillon had requested all documents not yet produced relating to Dr. Bruce Ivins during the September-October 2001 time period. Dr. Dillon has a related pending request for the “Interim Case Management Summary” authored by Richard Lambert. Many observers, including most outside scientists, have argued that the FBI’s “Ivins Theory” was unpersuasive. The FBI reasoned that Dr. Ivins had no reason to be in the lab on particular dates. 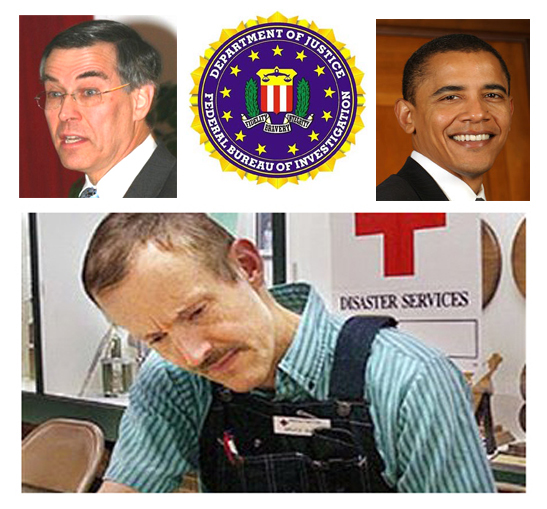 Some DOJ and FBI officials reasoned he must have been making and preparing a powderized anthrax to kill 5 people. I have interviewed the Al Qaeda anthrax lab director Yazid Sufaat, however, and he does not deny responsibility for the Fall 2001 anthrax mailings. Al Qaeda anthrax lab technician tells DXer that he realizes that by addressing these issues he may “jack myself up” but says that the “plan is on the way” — what does he mean when he says the “plan is on the way”? There were Al Qaeda operatives meeting with Mohammed Atta in the United States that were not caught (or were caught and released). Ken Dillon asks … Who Was the Real Anthrax Mailer? … the key people in the anthrax mailings were not Bruce Ivins or Steven Hatfill … instead, they appear to have been Ali al-Timimi and Abderraouf Jdey. Requestor Dr. Dillon is an academic and publisher. He is a former intelligence analyst associated with the US State Department. In testing the FBI’s theory that Dr. Ivins had no reason to be in the lab, he has sought Lab Notebook 4282 which contains contemporaneous handwritten notes about one of the many experiments he was working on (at pages 65-70). The pages were first obtained by the FBI in 2003 and put in Part 1A of an FBI 302 report. See 1A GJ 1100. The original was then seized again in 2007 and not returned. An FBI agent in an excel spreadsheet that has been produced explains that the notebook has entries from the time of the mailings. (See Part 55 of 59 of Amerithrax documents in the FBI’s “Vault.”) The FBI and DOJ have failed to produce the notebook despite requests by both me and Dr. Dillon. Specifically, there are notations from September 14, 15 and from September 18, 2001, the date of the first mailing. The Army has sought the return of the notebooks taken by Dr. Ivins for years — and has uploaded all those that it has and that eventually were returned by the FBI. Notebook 4282, however, still has not been returned. According to USMRMC FOIA Officer Sandra Rogers, the FBI still has not returned Notebooks 4037, 4010 and 4282, preventing the Army from uploading them in USAMRMC’s excellent reading room that was created containing my FOIA requests directed to USAMRIID. This past week, Hambali, the supervisor of Al Qaeda anthrax lab director Yazid Sufaat, saw the light of a courtroom for the first time since his capture in 2003. That’s an incredible 13 years without any transparency about his involvement in Al Qaeda’s anthrax program. On this issue of the FBI blaming Dr. Bruce Ivins for the anthrax mailings,however, there is no justification for there not to be government in the sunshine. The Department of Justice and FBI should comply with FOIPA. The Department of Justice and FBI, first and foremost, should stand for the rule of law. Perhaps the next FBI Director will reopen Amerithrax. It was FBI Director Mueller who permitted the father of Ali Al-Timimi’s pro bono counsel to continue to head the prosecution and leak the hyped stories about Hatfill. He didn’t want to order polygraphs because it would be bad for morale — and yet simply asking the question of Daniel likely would have prompted him to describe his disclosures. AUSA Kenneth Kohl worked closely with Daniel for years and never changed his course. Even assuming the good faith and expertise of all involved, the apparent conflicts of interest made closing a case fraught with innuendo and inferences unacceptable given what was at stake. The threat the country faces from the Al Qaeda anthrax threat, we’re told, is of a mass aerosol anthrax attack on DC and NYC. Dress it up all you like but that is an existential threat for the United States of America. 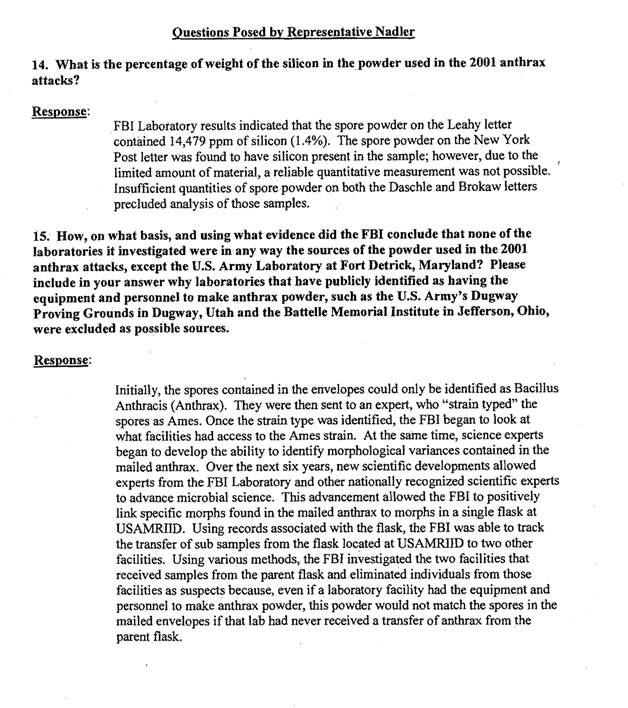 I would think that FBI Director Mueller would want to rely on more than inference-upon-inference type case in an investigation that was riddled with massive conflict of interest among its scientists that was allowed to continue even into the NAS review… where the collection scientist from Ali Al-Timimi’s bacteriology division was not required to recuse himself. The NAS may not have mastered this issue of conflicts of interest (see my friend Michael Jacobsen’s CSPI report) but the GAO knows conflict of interest analysis well. * from DXer … Attorney Jonathan Turley regarding his client Al-Timini … is this the kind of connection it is critical for the Holt/Bartlett House committee to investigate? * DXer: why should we trust NAS when they don’t comply with the statutory obligation to release the materials submitted by the FBI? The FBI’s publicly presented case against Dr. Ivins is clearly bogus: no evidence, no witnesses, an impossible timeline, science that proves innocence instead of guilt. So what really happened? And why doesn’t the FBI offer America a credible story? 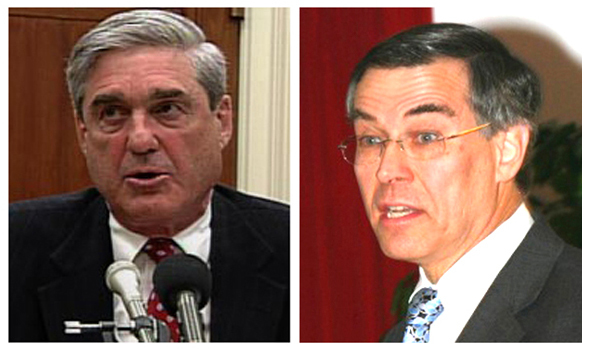 * have FBI Director Mueller and Congressman Holt met? if not, is a meeting scheduled? Despite the FBI’s original charge to the NAS to examine only the scientific data and conclusions in the case, it now appears that the FBI—which has consistently botched and bungled this case from the beginning—may be seeking to try to steer or otherwise pressure the NAS panel to reach a conclusion desired by the Bureau. I ask that you meet with me this week to explain the FBI’s troubling conduct in this matter. It has now been a week … Have they met? … Is a meeting scheduled? 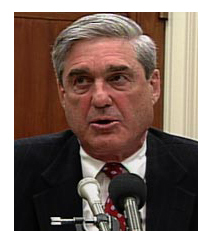 Robert Mueller became the FBI Director on September 4, 2001. It’s a 10 year appointment, ending in September 2011. 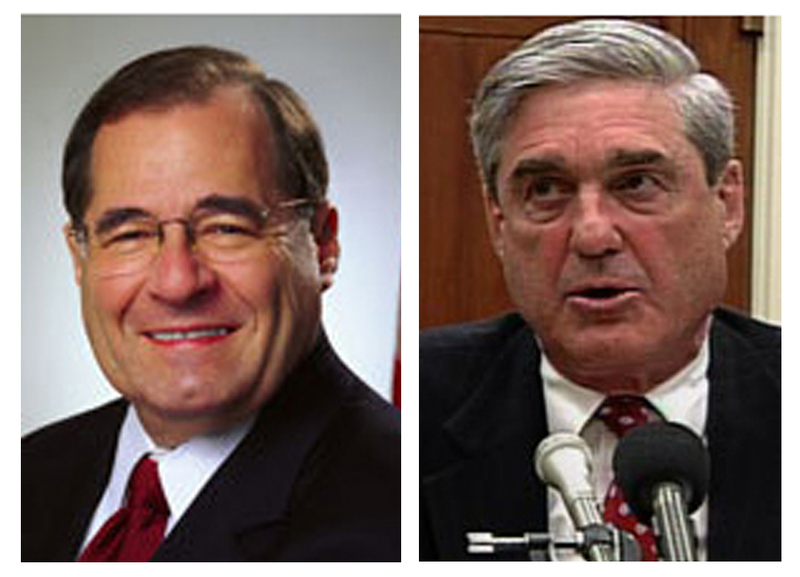 FBI Director Mueller has a record of stonewalling, even members of Congress. It will be very interesting to see how this plays out. Of course, by now you know my view of the FBI’s case against Dr. Ivins and their desperate effort to keep the facts from being known. UPDATE (3/19/10) … President Obama warned House Democrats this week that he will veto the intelligence authorization bill if it includes provisions intended to increase transparency within the CIA. It is the second time the White House has told the House Intelligence Committee that it will not support a version of the legislation that increases Congressional oversight of intelligence activities. The current draft of the bill would give the Government Accountability Office greater authority to review intelligence operations, require the executive branch to provide information about intelligence activities to the full House and Senate Intelligence committees and lay the groundwork for videotaping the interrogation of detainees in CIA custody. LMW COMMENT … I tend to agree with the President regarding CIA transparency. The CIA is supposed to be a secret organization, doing secret and covert work on behalf of the American people. Congress has proven itself totally incapable of keeing secrets, even legitimate national security secrets. This issue, however, has nothing to do with the need to investigate the FBI’s failed anthrax investigation. (Washington, D.C.) – U.S. Rep. Rush Holt (NJ-12), Chair of the Select Intelligence Oversight Panel and a member of the House Permanent Select Committee on Intelligence, today responded to the Obama Administration’s concerns about two provisions he included in the 2010 Intelligence Authorization Bill that passed the House. One provision would require the Inspector General of the Intelligence Community to examine the possibility of a foreign connection to the 2001 anthrax attacks. Another provision would require the videorecording of all pertinent interactions between CIA officers and detainees arrested in Iraq, Afghanistan and elsewhere. “I am not surprised at the FBI’s opposition to [a Congressional investigation], given the fact that they have stonewalled every House and Senate member who has sought information on this investigation over last decade,” Holt wrote. In the wake of the attacks and at a number of points thereafter, a number of media reports—citing government officials, usually anonymously—suggested a possible link between the attacks and foreign entities. Most of these stories attempted to link Iraq to the attacks, but questions have also been raised about whether the strain of anthrax used in the attacks had been supplied to foreign laboratories. My provision in H.R. 2701 is designed to have the DNI IG address those issues, to determine whether, in fact, all available intelligence on this topic was supplied to investigators. The provision itself is unremarkable in its scope and does not, contrary to the Bureau’s assertion, constitute Congress directing the Inspector General of the intelligence community to “replicate” a criminal investigation. However, I am not surprised at the FBI’s opposition to it, given the fact that they have stonewalled every House and Senate member who has sought information on this investigation over last decade. What surprises me is that an Administration that has pledged to be transparent and accountable would seek to block any review of the investigation in this matter. The Bureau has asserted repeatedly and with confidence that the “Amerithrax” investigation is the most thorough they have ever conducted—claims they made even as they were erroneously pursuing Dr. Steven Hatfill. Instructing the DNI IG to ensure that all intelligence information was in fact passed to the FBI would not “undermine public confidence” in the investigation. 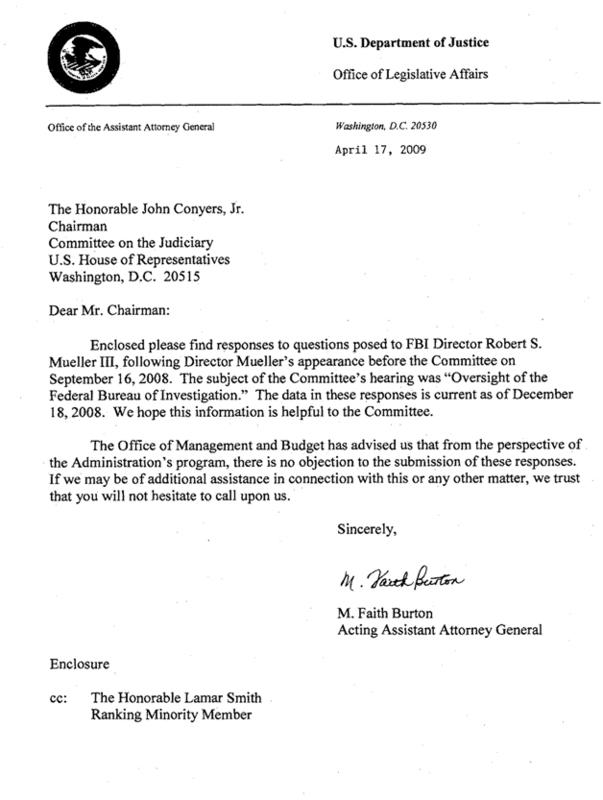 Many critical questions in this case remain unanswered, and there are many reason why there is not, nor ever has been, public confidence in the investigation or the FBI’s conclusions, precisely because it was botched at multiple points over more than eight years. Indeed, opposing an independent examination of any aspect of the investigation will only fuel the public’s belief that the FBI’s case could not hold up in court, and that in fact the real killer may still be at large. However, that is not the primary purpose of this provision in H.R. 2701. It is appropriate that the Intelligence Community contemplate whether it did consider this case and would consider a similar case properly to protect Americans from bioterrorist attacks. The people of central New Jersey, the Congress, and the Administration need to know that every lead—foreign and domestic—was supplied to the FBI and investigated thoroughly. My provision in H.R. 2701 would help ensure this goal is achieved, and I urge the Administration to support this provision. Does NAS still plan to withhold some or all FBI-submitted documents until the end of the study? If so, will NAS provide a list of withheld FBI-submitted documents? If NAS is planning to withhold some or all FBI-submitted documents until the end of the study but release them at that time, what legal authority does NAS cite for doing so? Will NAS provide a list of any FBI-submitted documents which NAS is intending to permanently restrict from access, indicating in each case the specific exemption which is being cited to justify that action? To date, there has been no response to my December 8 email. NAS has apparently decided to participate in the FBI’s stonewalling efforts to keep the truth about the 2001 anthrax attacks away from public scrutiny, regardless of the laws regarding disclosure of information. 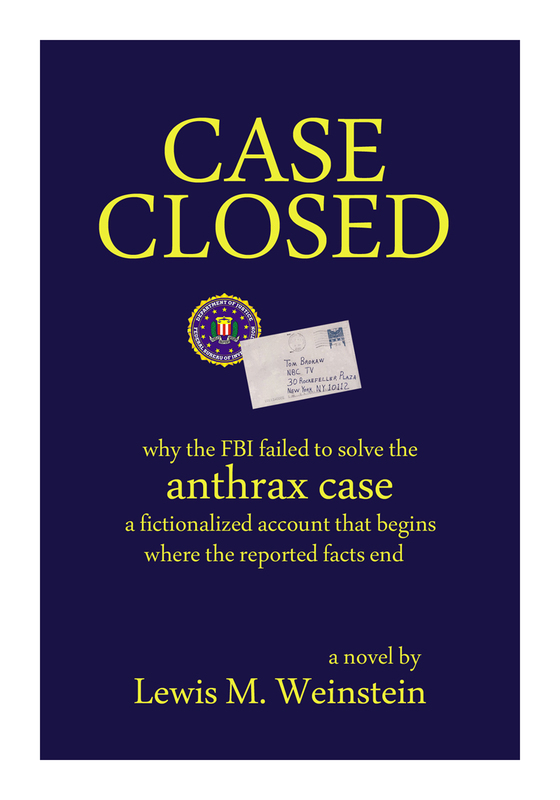 CASE CLOSED is a novel which answers the question … Why did the FBI fail to solve the 2001 anthrax case?